Adrian Vickers ,‘Haks & Maris, Pre-War Balinese Modernists, 1928-1942: A Dealers’ Visual Survey’. 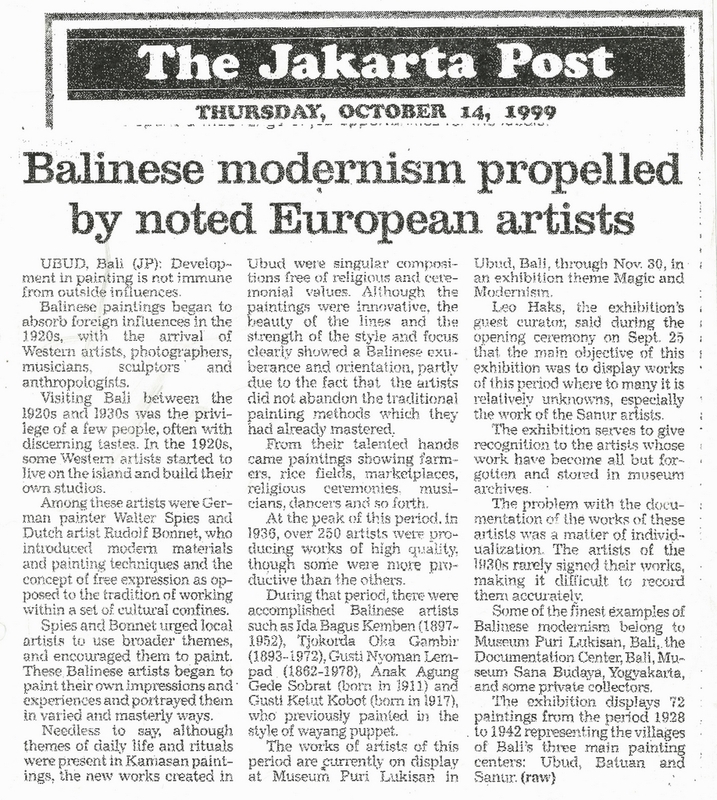 Author Unknown, ‘Balinese Modernism Propelled by Noted European Artists’. 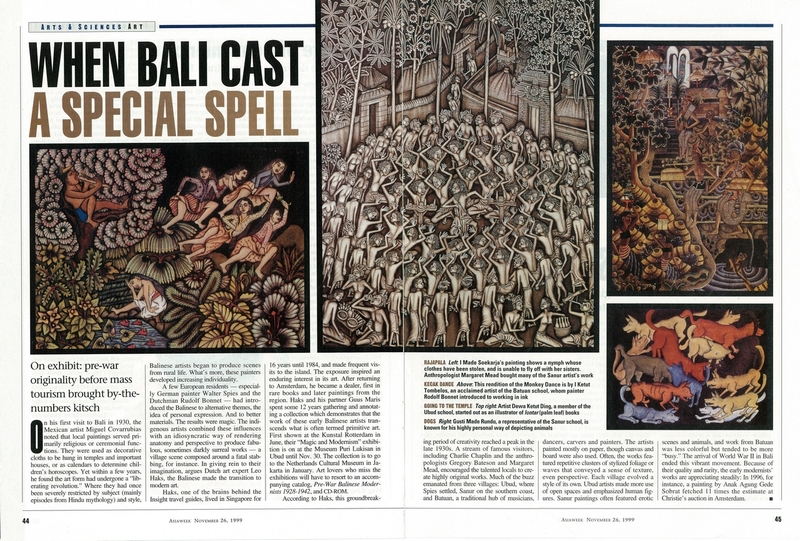 Author unknown, ‘When Bali Cast a Special Spell’. 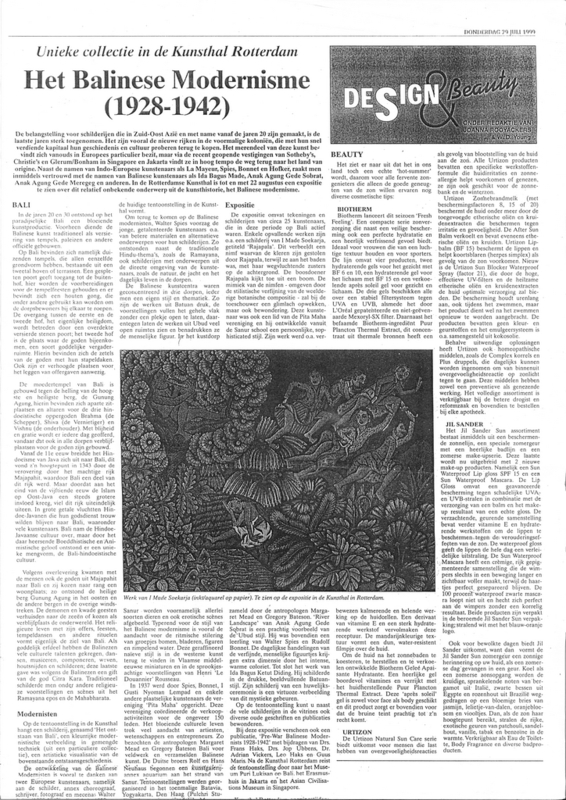 Wim Pijbes, ‘The Artists of the Tropics: The Artists of the Future’. 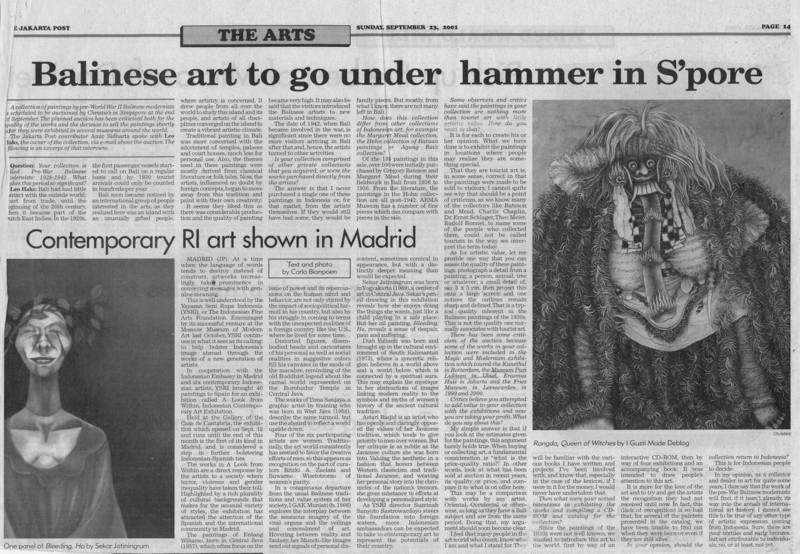 Amir Sidharta, ‘Balinese Art to go Under Hammer in Singapore’. 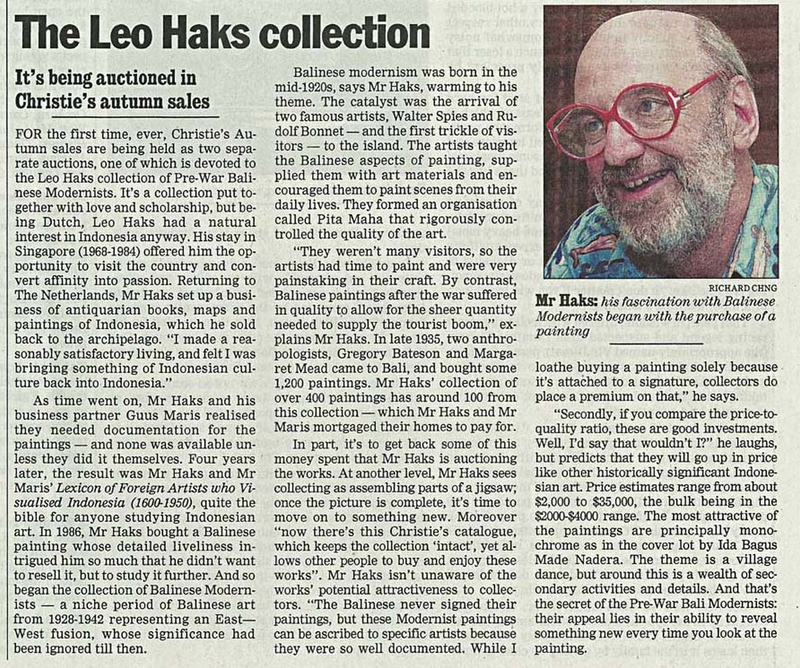 Author Unknown, ‘The Leo Haks Collection’. 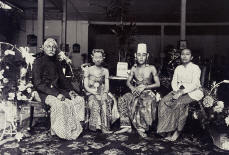 Adrian Vickers and Leo Haks, ‘Ida Bagus Nyoman Rai: Painter of History’. Adrian Vickers, ‘The Significance of the Haks Collection’. 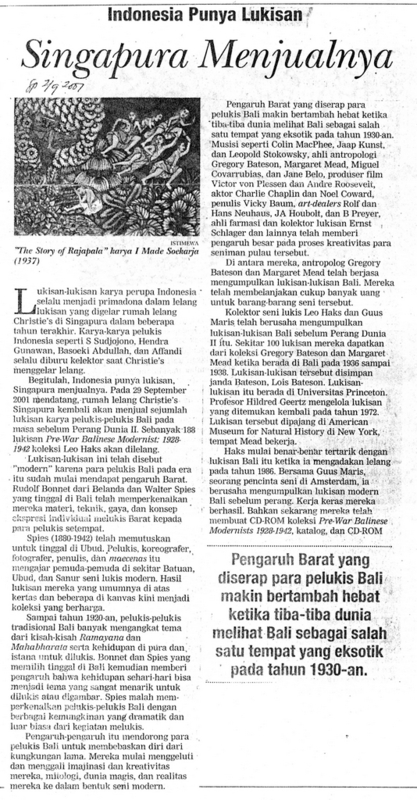 Carla Bianpoen, 'Leo Haks & Adrian Vickers: A Shared passion - Balinese Art'. 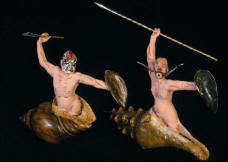 Ruud van der Neut, ‘Symbiose Tussen Oost & West’. Dolf Welling, ‘Een Aan Biddelijk Wonder in de Kunsthal’. 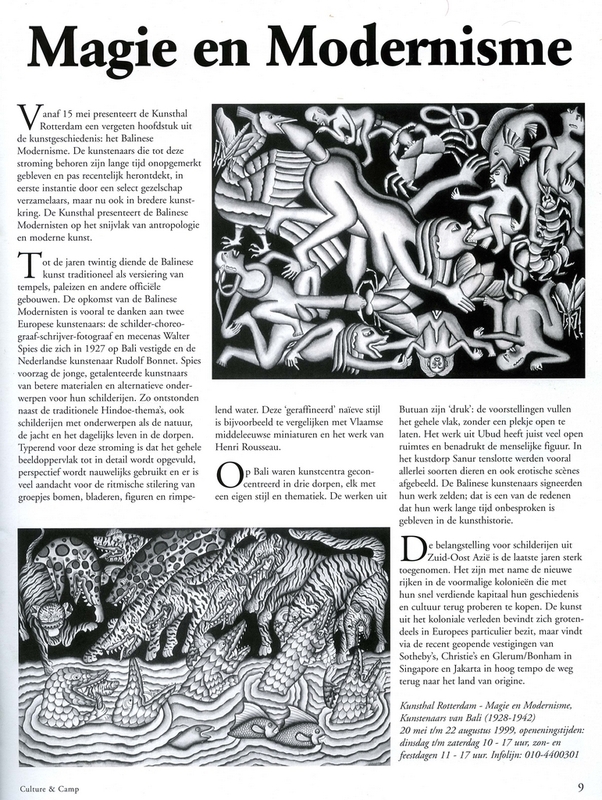 Joanna Rooyackers and W. D. Young, ‘Het Balinese Modernisme’. Author Unknown, ‘Magie en Modernisme’. 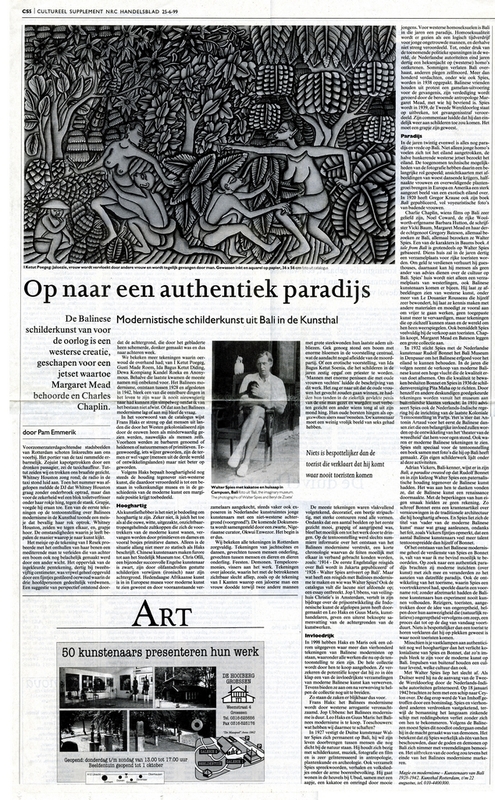 Pam Emmerik, ‘Op naar een Authentiek Paradijs’. 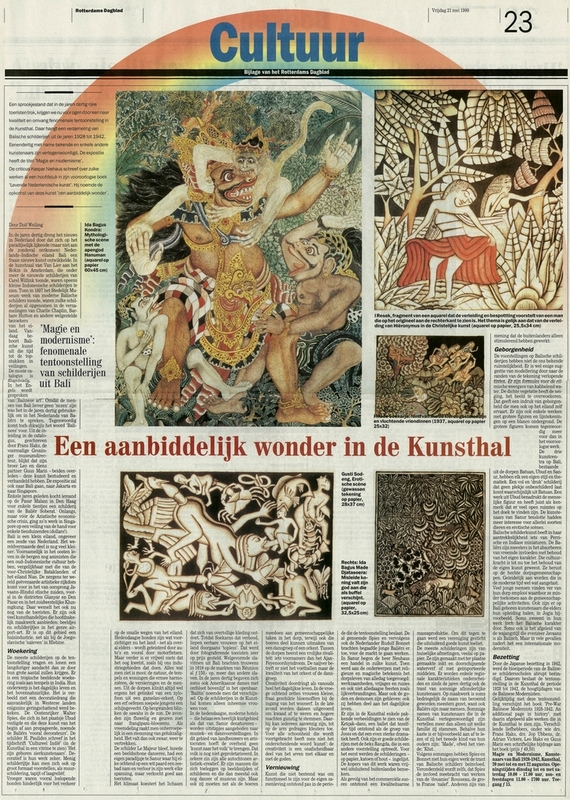 Kester Freriks, ‘Geweld, Mythe en Erotiek op Balinese Kunstwerken’. 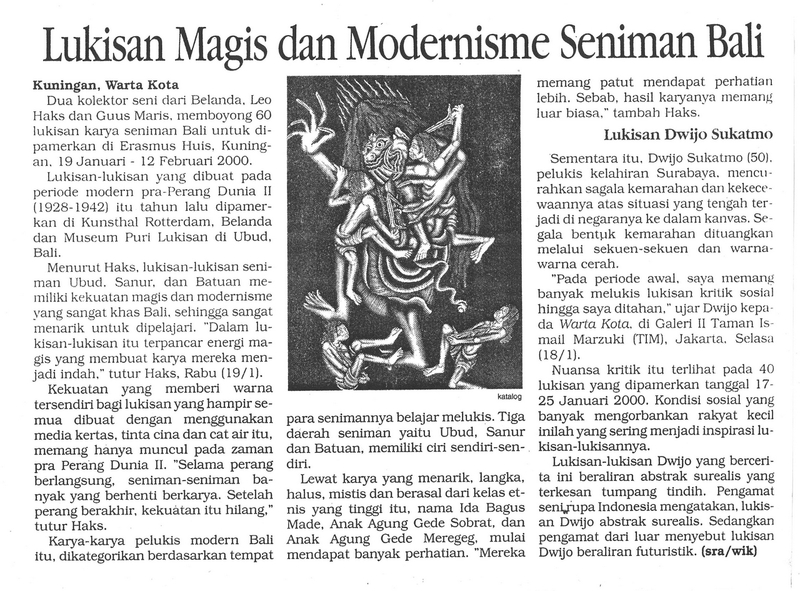 Author Unknown, ‘Lukisan Magisdan Modernisme Seniman Bali’. 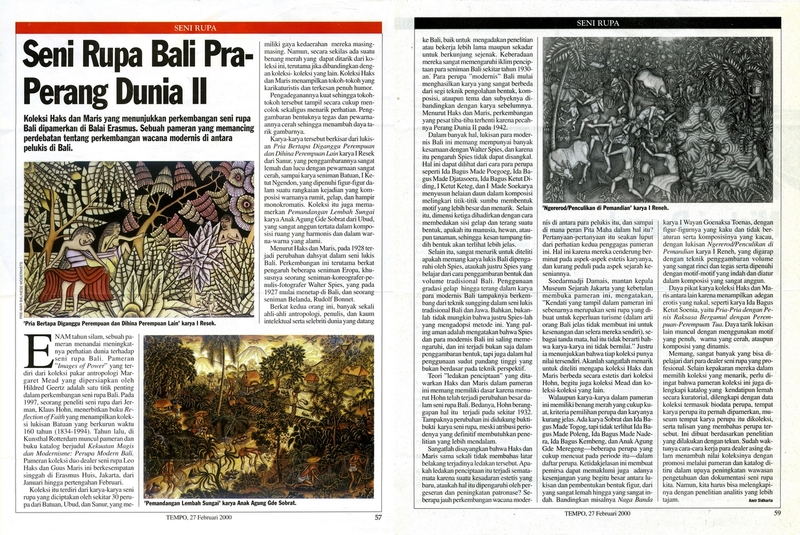 Amir Sidharta, ‘Seni Rupa Bali Pra-Perang Duna II’. 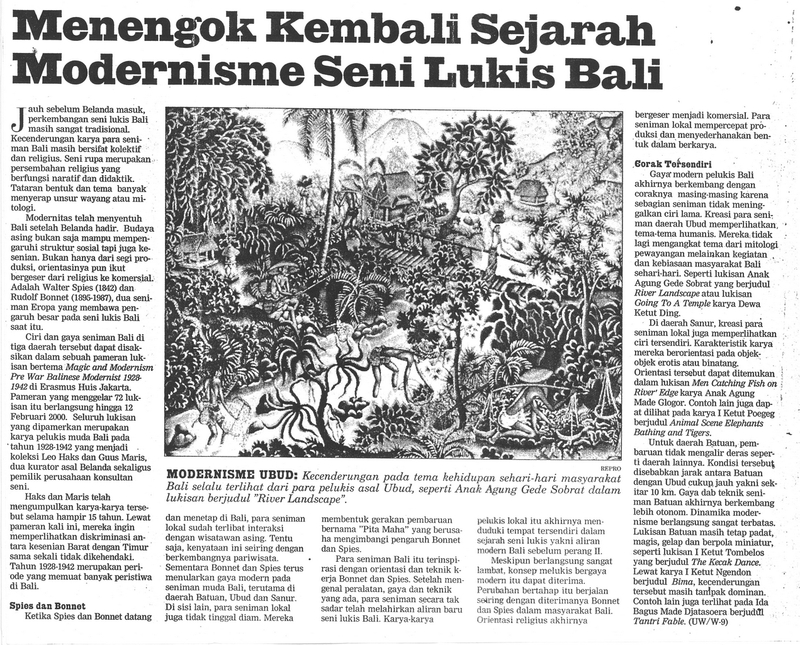 Author Unknown, ‘Menengok Kembali Sejarah Modernisme Seni Lukis Bali’. Mary Lee, ‘Letter from Singapore’. Frans Haks Presents: Chinese ‘Haute Couture, Cantonese Opera Costumes from the Leo Haks Collection. Interpreted in Photographs by Marcel van der Vlught’. 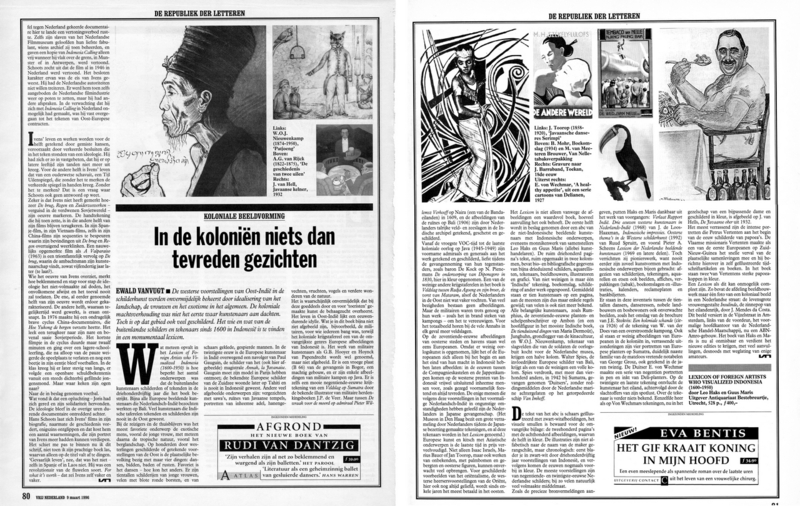 Dutch Quarterly Magazine, winter 1996. 17 pages in full colour, showing these Chinese Opera Costumes as seen through the eye of a Western fashion photographer. Celestial Treasures from China: Gifts for the Gods and the Dead. 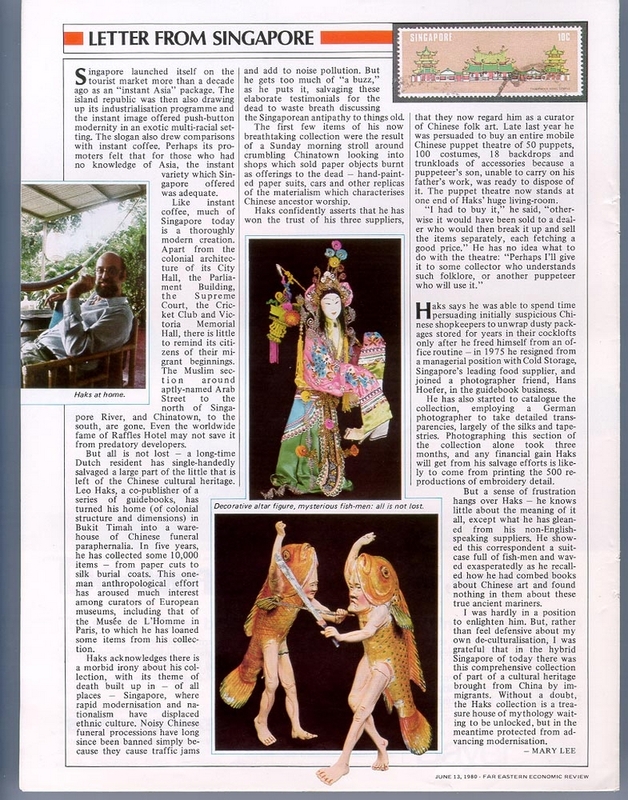 An 18 page, full colour article on Chinese offering costumes. 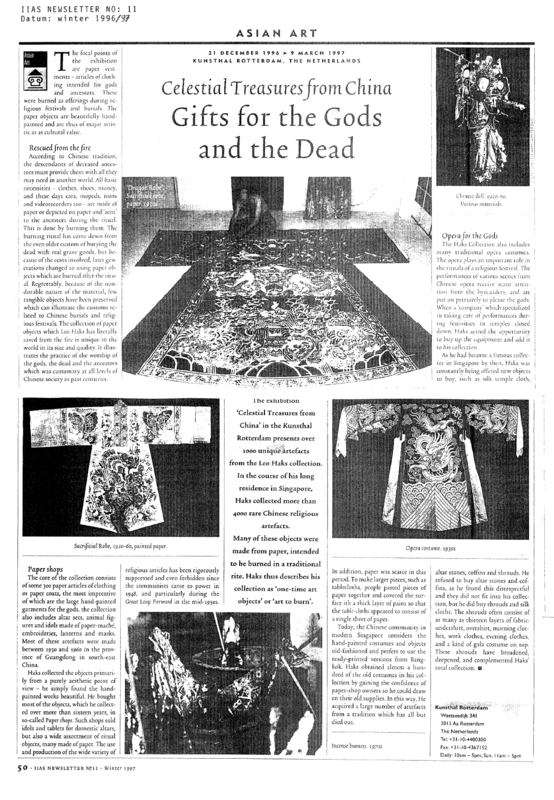 Ming-Yeung Lu, ‘Collecting for Life: Book Review of Silks for Thrones and Altars and Celestial Art’. 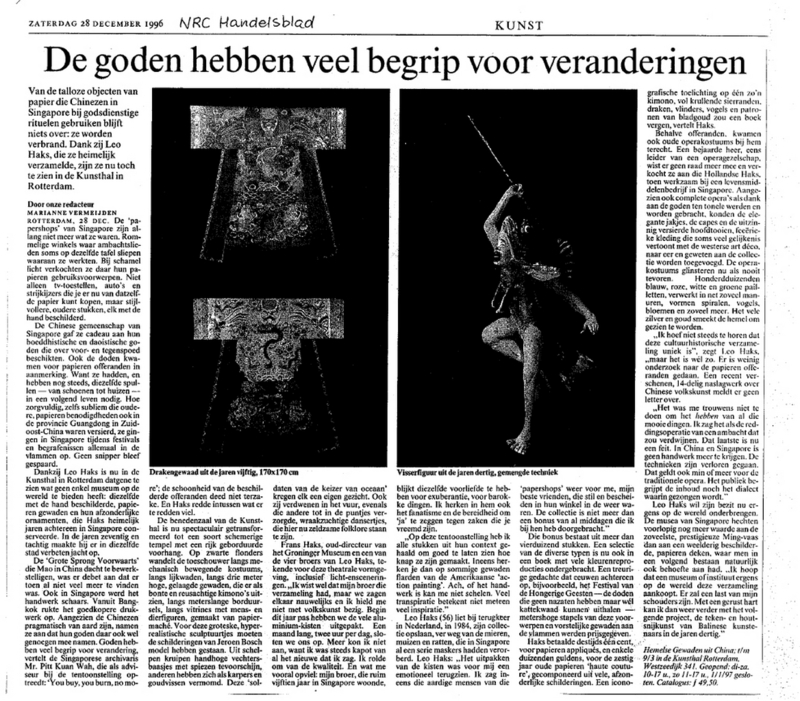 Marianne Vermeijden, ‘De Goden Hebben Veel Begrip Voor Veranderingen’. Steffie Kouters ‘Papieren Postduiven Naar de Andere Wereld’. 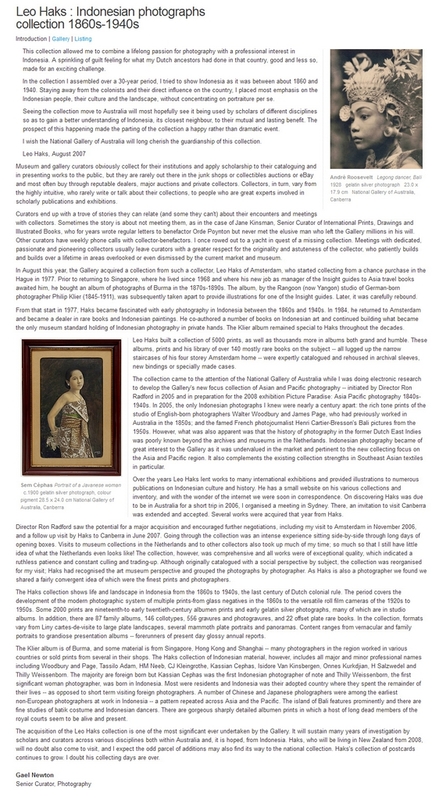 Gael Newton, ‘Leo Haks: Indonesian Photographs Collection 1860s – 1940s’. 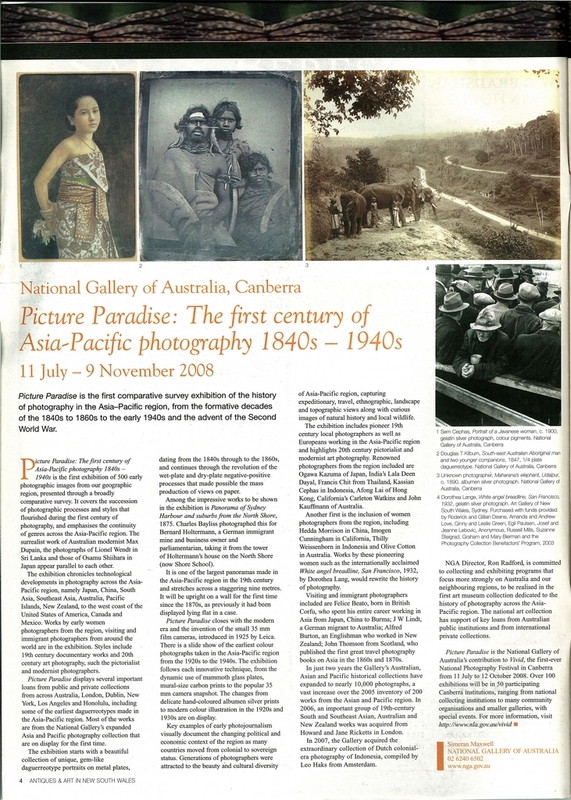 Simeran Maxwell, ‘Picture Paradise: The First Century of Asia-Pacific photography 1840s – 1940s’. Unggul Hermanto, ‘Greetings from Indonesia’. 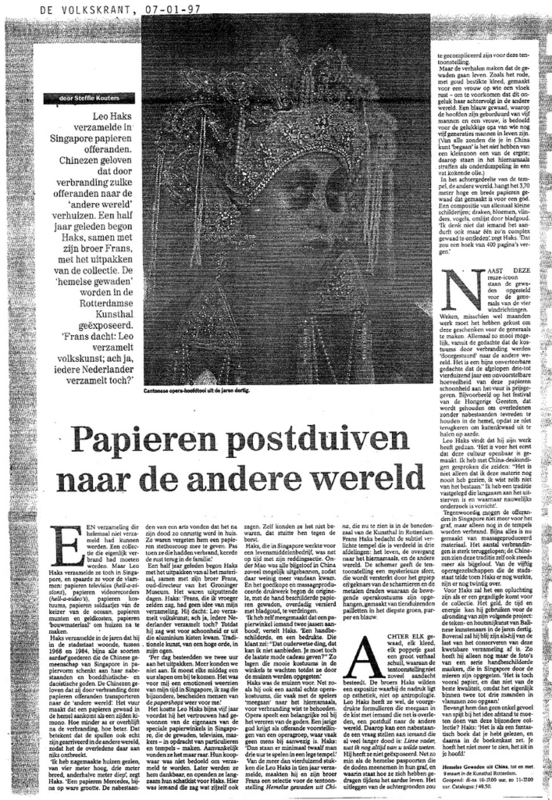 Ellen Powels,‘Indonesie – In 500 Oude Briefkaarten’. 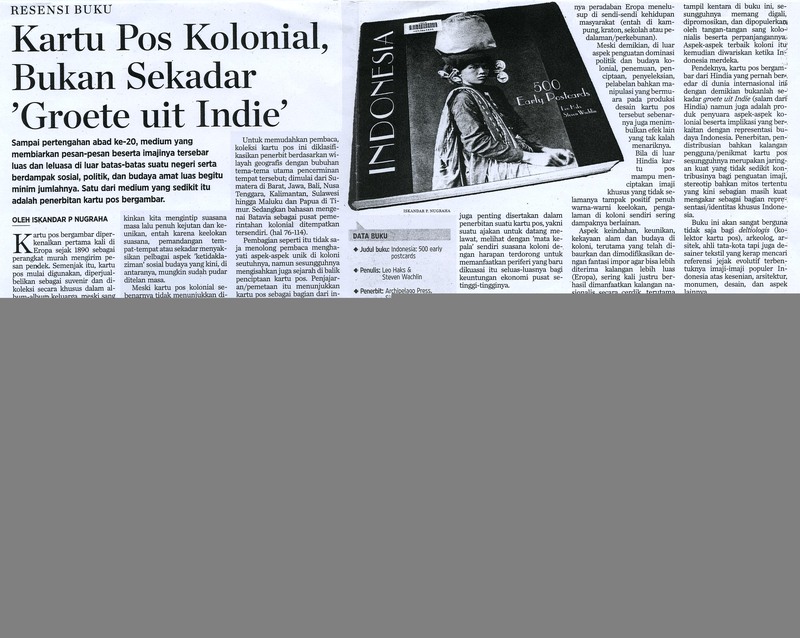 Iskandar P Nugraha,‘Kartu Pos Kolonial, Bukan Sekadar ‘Groeteuit Indie’’. 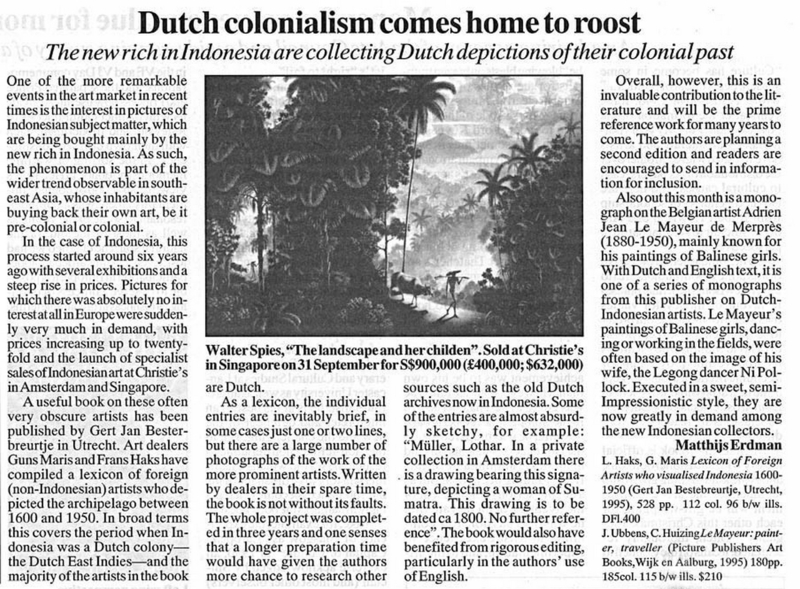 Matthijs Erdman, ‘Dutch colonialism comes home to roost’. 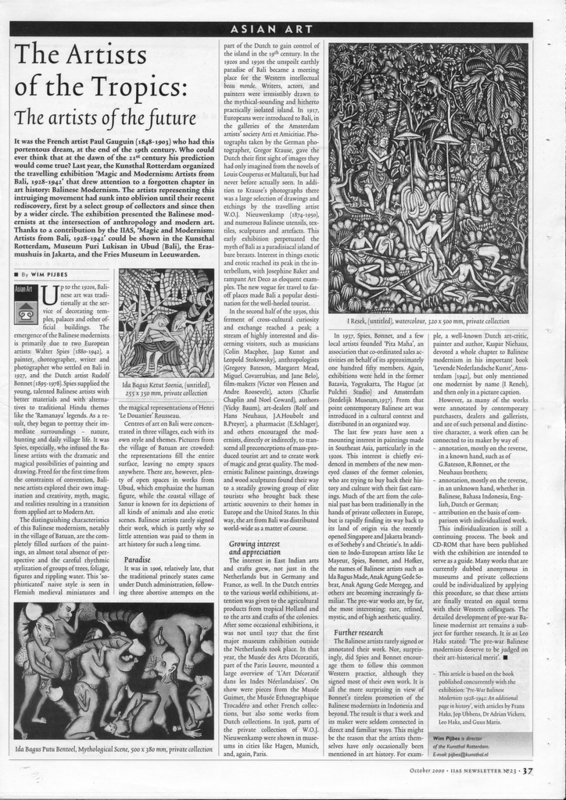 Amir Sidharta,‘Around 3,000 Foreign Artists Paint Indonesia’. Author unknown, ‘Buy Paintings with Eyes, not Ears or Wallet’. Ewald Van Vugt, 'In de Kolonien niets dan tevreden gezichten’.